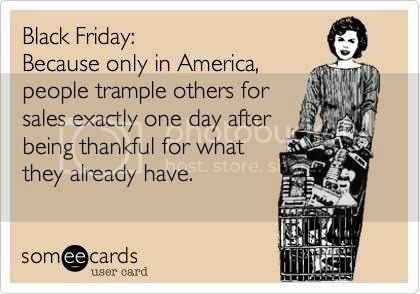 I used to be a Black Friday shopper, but it never went well. One year I had a car accident in the parking lot of a big-name store, one year I darn near got thrown out of a small store that was pulling the old bait and switch. Most years, I just missed getting the deal I was looking for. Sufficed to say, I'm done going out on Black Friday...now, just give me Cyber Monday and I'm all good! Have a safe and wonderful day!